Time and money savings have always been the set end goals in any business model. Effective supply chain and procurement management processes help businesses in achieving these goals. Supply Chain Management Software (SCMS) is used to track a company’s supply chain activities, including aspects like purchasing, invoicing, vendor management, shipping and warehouse management. The right SCMS can play a vital role in creating efficiencies for your organization, regardless of its size. So what is the optimal software for you? Organizations usually tend to zero in on SCMS that are able to replicate their business model and the functionality of their critical supply operations. SCMS for SMEs help identify any gaps, inefficiencies, core problems and missed opportunities in their supply chain. With increased transparency, control, and efficiency through the implementation of SCMS, an organization is able to achieve its time and money savings goals. An enterprise system (ERP) is connected to all modules in a business such as demand management, warehouse management, international trade logistics, transportation execution, and many others. A dedicated system on the other hand operates within defined modules, meaning it is usually restricted to one aspect of the entire supply chain such as procurement. SCMS provides a vista view across all modules involved in the supply chain network. A vital advantage is that the source of any problem in the supply chain can be identified and rooted out. Some of the leading SCMS available on the market currently are SAP’s mySAP SCM, Oracle’s E-Business SCM, i2 SCM, and Baan. Due to their prohibitive cost, only large multi-national organizations tend to buy them. So what about the SME’s that are not willing or cannot invest in such high-end ERP systems, but still require an efficient and transparent system for supply chain management. There are abundant options at affordable prices for SMEs with annual revenues between $1- 5 million. Purchasing and implementation of these tools, coupled with training, comparatively costs less than market leading ERP options. 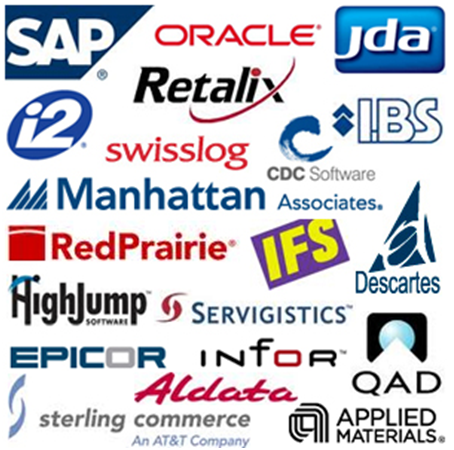 Epicor Supply Chain Management, Fishbowl Inventory, Geneva Business Management Systems (GBMS), ShippersEdge are software available for nearly all sectors. Epicor Supply Chain Management: This software is available as an on-premise and also a cloud-based system. Fishbowl Inventory: This software is intended for small to mid-sized companies looking for a complete inventory management system. Geneva Business Managements Systems (GBMS): A cloud-based ERP with salient features of a desktop application making it flexible for small to medium-sized businesses. ShippersEdge: Another web-based, highly scalable route optimization system that manages shipping logistics from beginning to end across the entire enterprise. Brickwork Sourcing provides end-to-end procurement research and supply chain support services to clients from all major continents. It specializes in assisting clients with low cost country sourcing as well as Indian market entry assessments. It also helps large companies with back office operations in the supply chain space. How to Merge PDF Documents? This post is on how to merge two or more PDF documents. There is a free service that enables you to merge or combine two or more PDF documents. 1. Browse and select the PDF documents that you want to merge. If all of those documents are in the same folder you can select all of them using the Control Key. 2. Once the documents are selected, click on the ‘Merge PDF’ button and the documents will get merged. You will get a dialog box with the message ‘Merge successful, press download to get the deliverable and then close to go back’ with 2 options – Close and Download. Click on Download and you get the merged PDF document. There is a limitation of total size of the documents that you can merge at one time – 50 MB. Also, the merged documents are deleted if there is no activity for an hour. Besides these limitations, this is an excellent service.